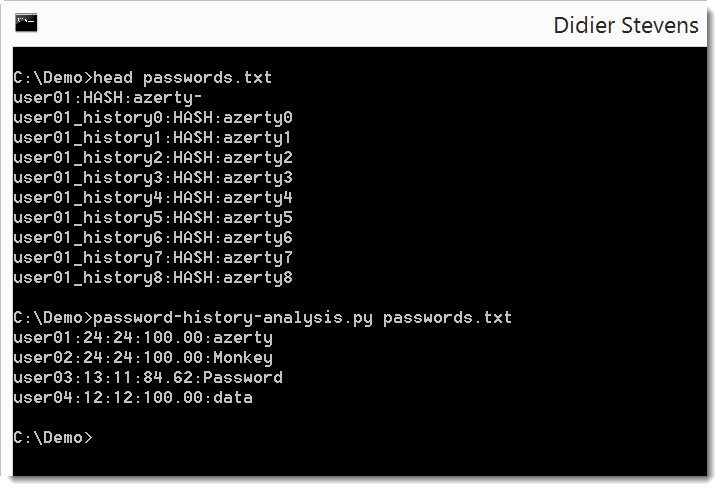 Saving password history in itself is unsafe and should not happen at all! That is what you are demonstrating here. To demonstrate anything about password security, I would at least use real password data. That is in the pipeline.